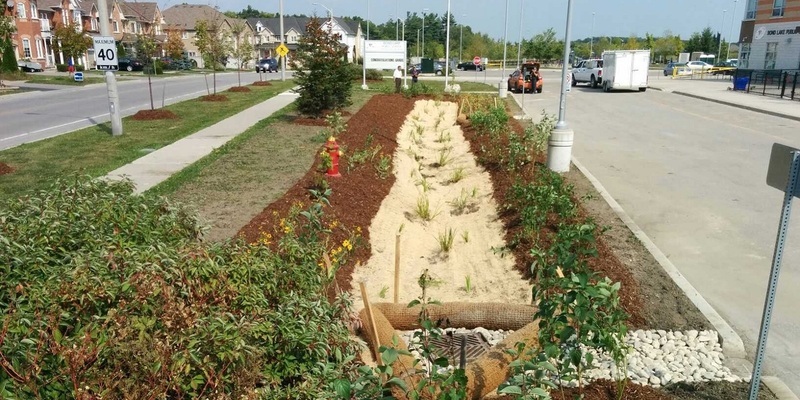 In 2015, Bond Lake Public School in Richmond Hill joined the global green infrastructure movement by installing a new bioswale/rain garden. Green infrastructure represents a way of embracing nature — and all its benefits — within an urban community. 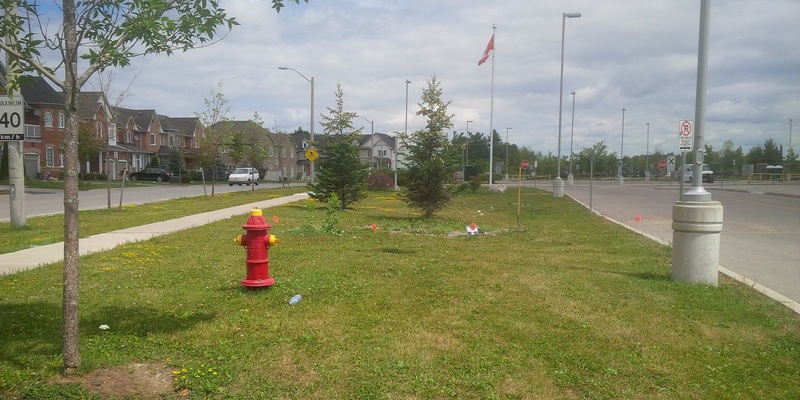 The Bond Lake Public School rain garden will help to beautify the school grounds. 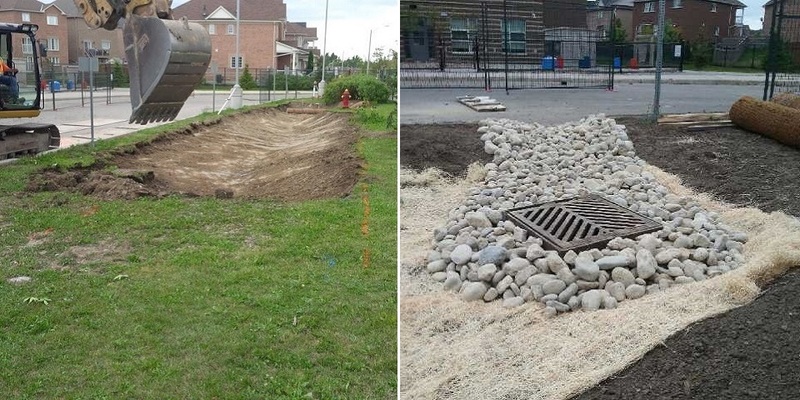 More important, it will capture rainwater from the school driveway — the equivalent of nearly 5,500 bathtubs a year, in fact — which will help improve the quality of stormwater runoff entering the waterways of the Humber River watershed. Protect our streams and lakes by filtering and removing pollutants. Restore our natural water cycle by allowing water to seep into the ground. Provide habitat and food for birds, butterflies and beneficial insects by using water-efficient, low-maintenance plants. This project is a partnership involving Bond Lake Public School, York Region District School Board, Toronto and Region Conservation Authority (TRCA), York Region, the Town of Richmond Hill and the Lake Wilcox SNAP.